Alzheimer’s disease begins damaging the brain as much as 20 years prior to manifesting any symptoms. Alzheimer’s causes neurofibrillary tangles and amyloid plaques to form and develop in various parts of the brain. 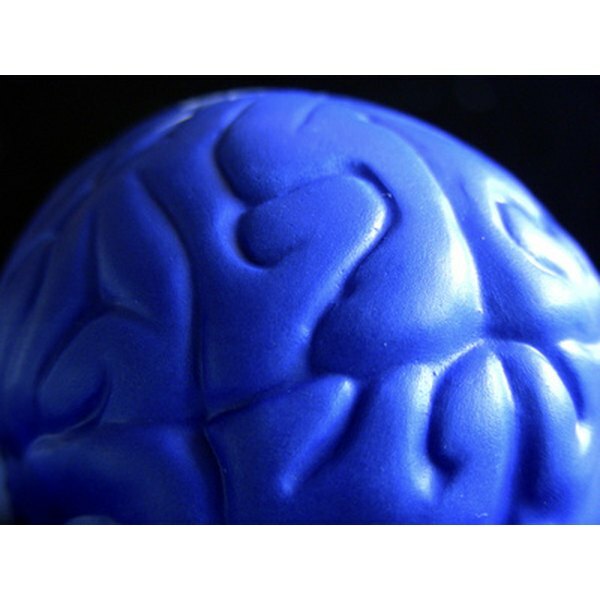 As Alzheimer’s progresses, brain function gradually deteriorates. When Alzheimer’s disease reaches advanced stages, brain function is severely impaired and brain tissue is significantly reduced, according to the National Institute on Aging. Alzheimer’s affects the amygdala. The amygdala is the section of the brain responsible for managing basic emotions such as fear, and anger. When Alzheimer’s has severely damaged the amygdala, the result is emotional instability. It is quite common for episodes of paranoia, temper outbursts, and bouts of anxiety to occur due to the damage Alzheimer’s has inflicted upon the amygdala, according to the Public Broadcasting Service. During the early stages of Alzheimer’s disease, progressive damage to the brain stem can result in erratic sleep patterns. As Alzheimer’s develops, sensory problems involving vision and hearing will occur. As Alzheimer’s continues to damage the brain stem, other complications, such as difficulties swallowing, breathing and erratic blood pressure and arrhythmia, develop, according to the Alzheimer’s Society. The hippocampus is the part of the brain primarily responsible for short-term memory. Alzheimer’s disease begins destroying the hippocampus early in the disease’s development. The immediate result is diminished short-term memory capacity and slight disorientation. As Alzheimer’s continues to degenerate the hippocampus, short-term memory becomes severely impaired, according to the Alzheimer’s Society. The parietal lobe is primarily responsible for integrating and processing sensory information. Tasks such as reading, writing, mathematics, and spatial navigation are typically processed by the parietal lobe, according to the Alzheimer’s Society. Alzheimer’s systematically destroys the parietal lobe throughout the various stages of the disease’s progression. Symptoms, such as a deterioration of reading and writing skills, as well as an increasing inability to properly locate objects within a three-dimensional space, or correctly gauge distance, occur with increasing frequency and severity as Alzheimer’s degenerates the parietal lobe. The temporal lobe is the part of the brain also involved in sensory processing, long-term memory, and linguistic skills. The damage to the temporal lobe caused by Alzheimer’s can result in an increasing inability to articulate ideas, and retain complex ideas, as well as impaired linguistic skills. It is also quite common for vivid visual and auditory hallucinations to occur. Moreover, the damage that Alzheimer's inflicts on the temporal lobe impairs the ability to recognize familiar places, objects, and people. By the time Alzheimer’s has advanced to its later stages, recalling personal information becomes severely compromised, according to the American Health Assistance Foundation.